On Tuesday, McAfee disclosed that its initial report on the attacks, which it branded Operation Aurora, had mistakenly linked several files to the attacks that had nothing to do with Aurora after all. See my earlier comments about Damballa's flawed analysis. Too many people are trying to get on the APT buzzword wagon. Update: I respect Gunther based on what I've been told about him from people who've worked with him... That being said, I still think he continues to be wrong about a few key things. Just because an attacker uses inferior tools, does not mean they are an inferior attacker. Security outcomes are the only thing both defenders and attackers are judged by. In the case of Sino-APT, they are getting the outcomes they want using their least advanced tools and compromised resources in the majority of cases, always leaving them a way to scale up the sophistication of their attacks to achieve their desired outcomes. This is the mark of an attacker really thinking out their strategy, not an amateur. Also, Damballa has yet to reference the division of labor and timing of activities seen in Sino-APT attacks, which is key evidence of their high level of organization. That alone continues to lead me to believe that Damballa has no inside knowledge of Sino-APT activities, as Google has suggested. 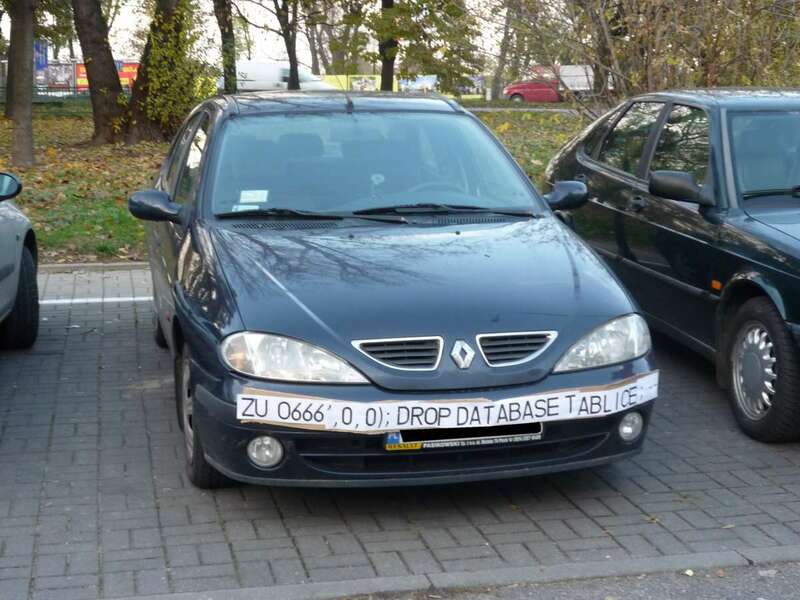 Coolest SQL Injection attempt ever! He didn't die in Memphis, that's no so cool. The computer attack which led Google to threaten leaving China and created a firestorm between Washington and Beijing appears to have been deployed by amateurs, according to an analysis by a U.S. technology firm. "I would say this particular botnet group was not well funded, in which case I would not conclude they were state sponsored, because the level of the tools used would have been far superior to what it was," said Gunter Ollmann, vice president of research at Damballa, an Atlanta-based company that provides computer network security. If the security hole in Internet Explorer was the smoking gun of the attacks, what Ollmann and his researchers looked at was "the occupants and driver of the getaway van," he said. They analyzed the global network of computers that attackers remotely used to deploy the attack, called a "botnet" -- computers that, unbeknownst to owners, are taken over remotely and used to spread malicious software, or malware. What Damballa researchers found in the Google attack botnet was less '007' and more 'DIY,' using software that could be found and downloaded widely on the Internet. "This team launching the attack were unsophisticated amateurs," Ollmann said. The botnet used in the attack began being tested in July, nearly six months before the attack, according to Damballa analysis. He added, "Some of the codes within the malware were at least five years old" -- ancient, by software development standards. The attackers used technology "that had been abandoned by professional botnet operators years ago," he said. The botnet is not the key to this. APT doesn't use many hosts in their attacks. They don't maintain some huge botnet, nor do they don't need to. One of the key hallmarks of APT is using the minimum resources and least advanced techniques necessary to get the job done. You see old code, old tricks, and few hosts (which are often used by other groups). As long as it gets past the security solutions the target has in place, they don't care. When you analyze APT activities, you see a clear division between teams doing the work. They do a 7-day week with 8 to 11 hour days. These are all hallmarks of a non-amature outfit. Stop thinking about the botnet aspect. Think like an intelligence operative. If you were targeting an organization, and you started by using your most advanced tools, what happens when you get caught? You start using less advanced tools? That's stupid.. You'd use your most basic assets, then when you got caught, you'd start using your next best set of assets. The P in APT is PERSISTENT. The challenge is to shape an effective partnership with the private sector so information can move quickly back and forth from public to private -- and classified to unclassified -- to protect the nation's critical infrastructure. We must give key private-sector leaders (from the transportation, utility and financial arenas) access to information on emerging threats so they can take countermeasures. For this to work, the private sector needs to be able to share network information -- on a controlled basis -- without inviting lawsuits from shareholders and others. Obviously, such measures must be contemplated very carefully. But the reality is that while the lion's share of cybersecurity expertise lies in the federal government, more than 90 percent of the physical infrastructure of the Web is owned by private industry. Neither side on its own can mount the cyber-defense we need; some collaboration is inevitable. We need to develop an early-warning system to monitor cyberspace, identify intrusions and locate the source of attacks with a trail of evidence that can support diplomatic, military and legal options -- and we must be able to do this in milliseconds. More specifically, we need to reengineer the Internet to make attribution, geolocation, intelligence analysis and impact assessment -- who did it, from where, why and what was the result -- more manageable. The technologies are already available from public and private sources and can be further developed if we have the will to build them into our systems and to work with our allies and trading partners so they will do the same. This is not based in reality. How exactly should we re-engineer the Internet to solve the attribution problem? The "technologies already available from public and private sources" that McConnell speaks of are vaporware. I agree with many of the points Threat Level is making in regard to this. The biggest one, that I think people are very fast losing site of, is that the cyber activities the Chinese are engaged in are not "Cyberwar", they are "Espionage" (with a capital E). I admit to having been part of causing this perception problem. I have highly enjoyed tossing around the term "cyberwar" because it's fun to say. Now I'm starting to get worried about it.. Putting this into a war context is going to drive policy people to make proposals and decisions that don't have practical effects. "In the meantime it will have become very hard for to learn from anybody who doesn't have these clearances. Because you'll be thinking as you listen to them: 'What would this man be telling me if he knew what I know? Would he be giving me the same advice, or would it totally change his predictions and recommendations?' And that mental exercise is so torturous that after a while you give it up and just stop listening. I've seen this with my superiors, my colleagues....and with myself. This is a very good read for anyone interested in APT. Ok, that's swell. You will crack down on hacking according to the law. So what is the status of your investigation into the usage of the IPs in question on the Jiaotong network? Have you questioned the researcher implicated? Have you investigated any of the front companies connected with APT activities? US analysts believe they have identified the Chinese author of the critical programming code used in the alleged state-sponsored hacking attacks on Google and other western companies, making it far harder for the Chinese government to deny involvement. A freelance security consultant in his 30s wrote the part of the program that used a previously unknown security hole in the Internet Explorer web browser to break into computers and insert the spyware, a researcher working for the US government told the Financial Times. Chinese officials had special access to the work of the author, who posted pieces of the program to a hacking forum and described it as something he was “working on”. As an interesting side note, I've been able to connect APT activity to a front company located in the same Shanghai neighborhood as Jiaotong University.